This high-top 3 piece pub set was designed for both durability and comfort. 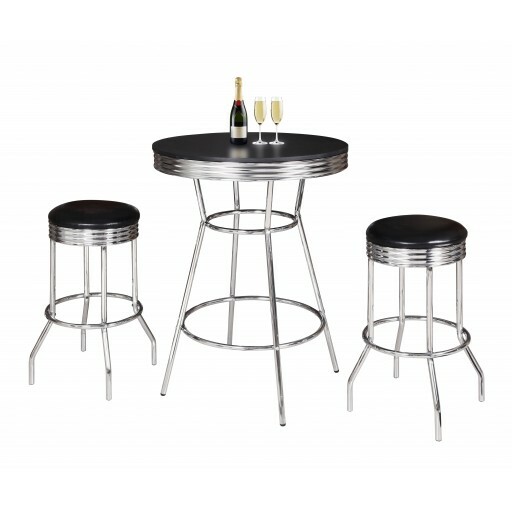 Featuring a scratch resistant black melamine table top supported by a decorative chrome plated steel frame. 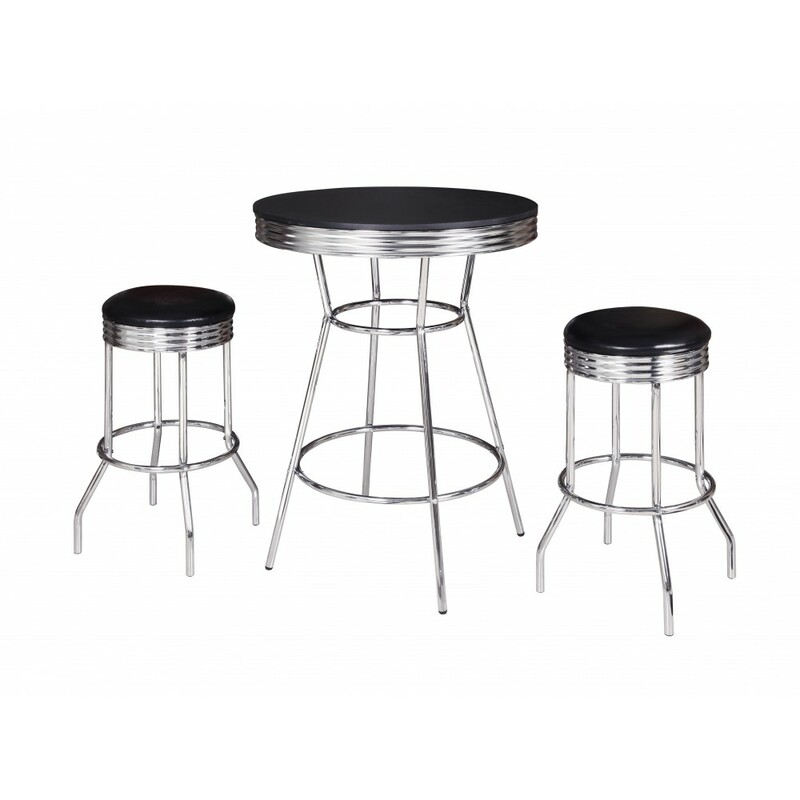 The bar stools come in a 29 inch height and are padded with top grade faux leather seat cushions. 180-Day Limited Warranty.